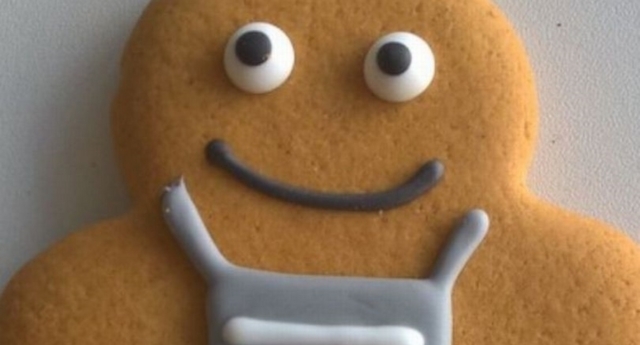 Supermarket chain Co-op is introducing a gender-neutral gingerbread person which will be named by the public. “They’d like members to join in and suggest a fitting name for our new little biscuity friend,” continued the statement from Co-op, a brand which appears on more than 4,000 shops across the UK. “The plan is to give our new gingerbread fellow some seasonal costume refreshes—a distinctively Christmassy look for December and something rather spooky around Halloween for example. Co-op explained that suggestions would be open for three weeks until May 1 and will seek to avoid a Boaty McBoatface-type fate. “Our Food team will create a shortlist of the ones they think will best fit the bill and we’ll be back to ask you to vote for your favourite next month,” the statement explained. PinkNews has contacted Co-op for comment. The responses are similar to those endured by York business Thomas the Baker when it was targeted last year after pictures of the store’s gingerbread person were posted online. The family-run bakery in north England was left in a state of confusion about the sudden online backlash over the shop selling gender-neutral gingerbread “persons” instead of gingerbread “men”—despite the name change happening back in 1983. PinkNews phoned the bakery and spoke to a member of staff, who said the shop had been inundated with “hundreds of calls” about the ginger biscuits. Thomas the Baker also posted about the incident on Twitter, writing: “Sorry to disappoint you all – they have been Ginger Persons since 1983! It was chosen by one of our Managers in York and the name stuck.